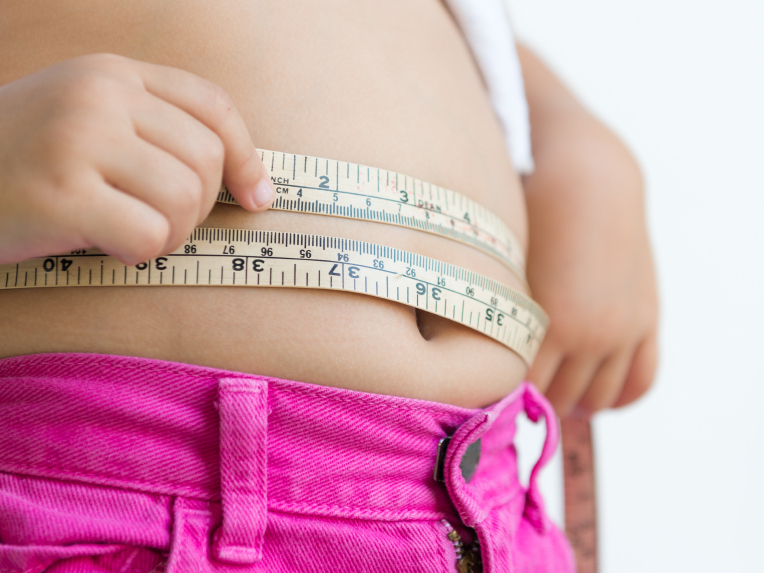 Is The War On Fat Harming Our Children? : 13.7: Cosmos And Culture Anthropologist Barbara J. King interviews Harvard University's Susan Greenhalgh, author of the new Fat-Talk Nation, who says one surprise is that compliments on weight loss may do more harm than good. America's ongoing war on fat, which aims to save this country — and especially its young people — from a costly and damaging epidemic of obesity, turns out to be dangerous all on its own: It exacts a severe psychological and physical toll on the very individuals it purports to help, according to an upcoming book. This thesis is at the core of Fat-Talk Nation: The Human Costs of America's War on Fat, a book written by Harvard University anthropologist Susan Greenhalgh and set to be published on June 2. I've written here at NPR about issues of fat and fat-shaming in academia and science, as NPR producer Anastasia Tsioulcas has done for the world of music. Greenhalgh's book goes beyond uncovering examples of fat-talk and fat discrimination to give voice to the people who, Greenhalgh says, "have been shamed into silence." Her work is based on auto-ethnography, a method in which the researcher gathers narrative accounts from individuals who write about their lives. This approach differs — quite purposefully — from a biomedical discourse that relies on statistics and, through which, scientists "impose their understandings of what matters and why on people's lives," as Greenhalgh phrases it. Greenhalgh gathered accounts from 245 people, all college students, most from Southern California and most women. A variety of ethnic backgrounds and income levels were represented. (A small percentage wrote about older relatives rather than about themselves.) Of these 245 accounts, 45 were chosen as central narratives for the book. Over the past week, I have corresponded with Greenhalgh by email. My questions and her answers follow. It seems appropriate to start with words from people who, as you put it, are "targeted in the fight against excess pounds." Could you select a passage or two from the narratives that you found especially informative or moving? Every one of these stories was troubling, but there are some that haunt me to this day. One is that of Anahid: "When there is so much talk about obesity, you feel bad about yourself as a person. Even if you are a kind person, you feel down because the whole nation is saying that excessive weight is bad and that's it. It makes you look at yourself and think that there is something wrong with you. It makes you feel like a failure and, more importantly, it makes you feel as if you have failed others." Another is the story of Elise: "Food is my support and I abuse it. If during one of my 'feeding frenzies' I happen to gain weight, even just one or two pounds, I flip out and feel disgusted with myself. I can feel the disgust manifest in the pit of my stomach like it has a voice and with every growl and every grubble, it is like a knife into my self-esteem telling me I am too fat and asking why I eat so much." What is the main message that came through to you in these ethnographic narratives and that you would like all of us to understand? The core message is that 15 years after the launching of the public health campaign against obesity, we are now in the midst of a gigantic, society-wide war on fat in which virtually all of us — including you and I and your readers — are unwitting agents. All of us are making war on fat through constant fat-talk. Yet because very few people can lose weight and keep it off, the pervasive fat-talk does not have its intended effect; instead, it is causing terrible, yet often, invisible harm. The harm to individuals includes emotional distress and, often, physical injury from trying too hard to lose weight. The war on fat is also damaging critical social relationships, especially the crucial bond between mother and daughter. The stigma and discrimination against fat people are now well known; what isn't known is that the human costs of the war on fat itself are harmful to people of all sizes and to us as a nation. You write about the dangers of fat-shaming, but also about the risks of offering weight-oriented compliments, along the lines of: "You've lost weight, you look great!" Could you talk a bit about why such compliments may be problematic? This was one of the most surprising findings of my research. We think that complimenting people on weight loss or looking thin is kind and helpful, but the effects are often harmful. Such compliments, which signal social approval, make people even more obsessed about their weight, and they often convince people who are already on a weight-loss program to up the ante, to try even harder, even though they may already be dangerously thin. In some of the cases I gathered, complimentary fat-talk helped precipitate a slide from disordered eating into a full-fledged eating disorder. You note that one myth about weight is this: "Obesity and overweight cause a host of other diseases, many of them very serious and even life-threatening." The consequences of fatness are, you write, contested in the scientific community. But what do you say to those parents who feel sincere and significant concern for their overweight children's future health? Can these parents help their children by discussing fat and fatness with them without being thought of as fat-shamers? The roughly 250 essays I gathered show that the tiny minority of young adults who did not have emotional troubles around weight were the ones whose parents had never made a big deal of their weight when they were young. In general, the more pressure parents put on their youngsters — through fat-talk, fat-shaming, and forced diet and exercise programs — the more likely they were to develop disordered eating and emotional distress around weight issues. Thinking now about fat, body image and social justice, what single thing do you consider most important for all of us to do to make things better? We need to help the authorities in children's lives — parents, teachers, doctors, coaches — see how damaging routine fat-talk often is to their young charges. On a personal level, we need to think twice before we engage in fat-shaming or even weight-loss complimenting. We need to realize that fat-shaming does not work to "motivate" people to lose weight; instead, it makes them feel like failures. Given that the war on fat has had little success in reducing obesity, while it has caused damage to many young people, we need to listen closely to the stories of young people targeted for change, and make them part of a national conversation about how we can address the obesity question in more positive ways. I do feel concern for teenagers and young adults regarding the established links between weight and illness, for example between weight and certain types of cancer and, thus, I read carefully Greenhalgh's section on myths centered around fatness. Greenhalgh writes that "obesity is statistically associated with a host of serious diseases" but notes that it is not obesity, per se, but instead "a complex array of metabolic changes in the body set in motion by significant weight gain" that causes disease. This nuance is important scientifically. But when it comes to the health of our kids? We can't lose focus on the central point, which is that the extra pounds do set in motion unhealthy changes. The peer-reviewed scientific data on the cost-benefit ratios of fatness are important, and they deserve attention and scrutiny as they come in. Even as we engage with the data, we can: recognize that an inability to lose weight is rarely about willpower alone but, instead, rooted in a complex dynamic of environmental and genetic factors; refuse to engage in fat-shaming; think hard before we speak, even when using the language of weight-loss celebration; and aim to create a calmer and more effective dialogue about our children's bodies, emergent, in part, from listening to those harmed by the war on fat. Barbara J. King, an anthropology professor at the College of William and Mary, often writes about human evolution, primate behavior and the cognition and emotion of animals. Barbara's most recent book on animals was released in paperback in April. You can keep up with what she is thinking on Twitter: @bjkingape.